The wing venation, patterned eyes, and even the horns on the scutellum suggest this is a soldier fly in the family Stratiomyidae. 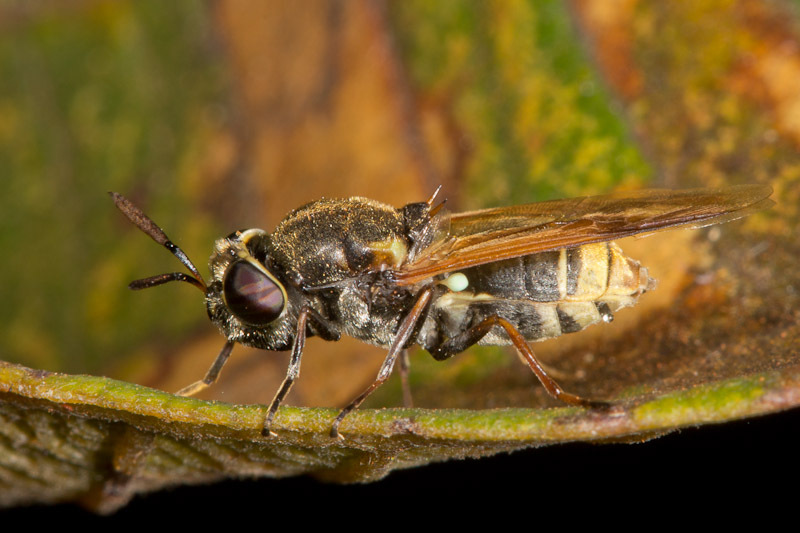 Many soldier flies bear a resemblance to wasps. This one kind of reminds me of a yellowjacket.